#ColourYourPersonality | What does the colour of your home say about you? What's your favourite colour? Mine's pink. If I had the choice there would be plenty of pink in my home. But seeing as we're currently living in a rented house, it's not really practical. 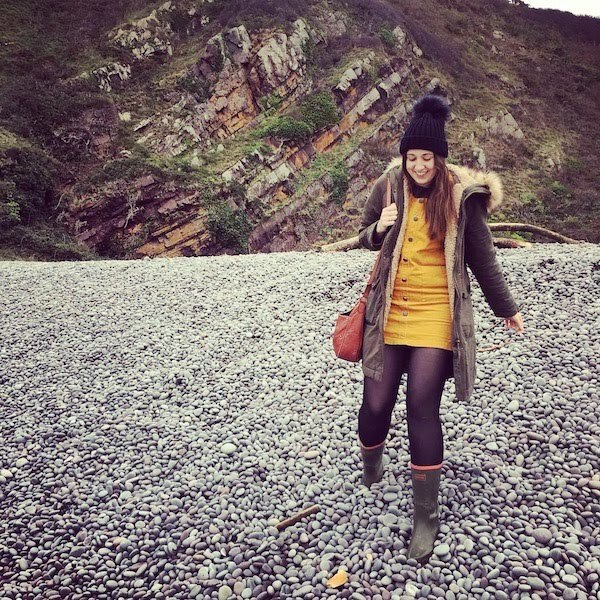 I'd like to say it's a colour I'll use when we eventually move into our first family home but I'm just not sure the other half would ever go for it...would yours? When it comes to choosing the colours for your home, I do think it goes beyond simply picking your favourites. It's about finding colours that work in a particular room, help to bring out its best features and contribute to the overall look and vibe you want to create. 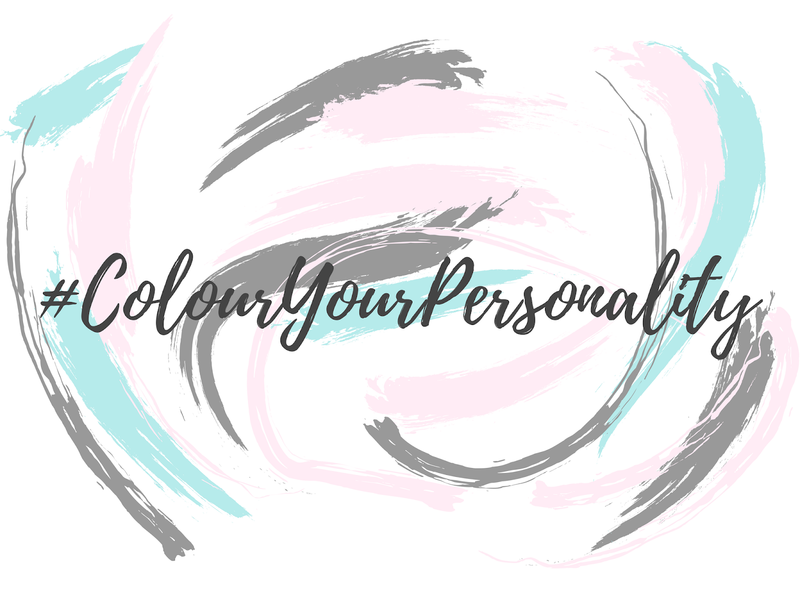 I think it's true that the colours we choose for our home can say a lot about our personalities though and this is something that Julian Charles have explored in their latest campaign #ColourYourPersonality. 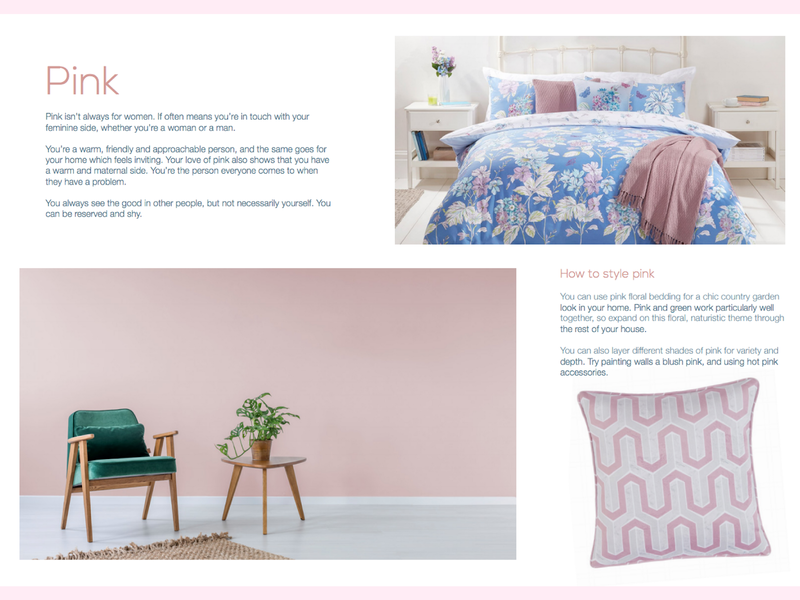 As well as sharing insights into how colours can be connected to our personality, Julian Charles have also offered tips on how to style particular colours in your home. Deep blue is a colour I'm really drawn to at the moment. I find it really calming and I've actually pinned a lot of feature walls in that colour on my Home and Interiors Pinterest board. 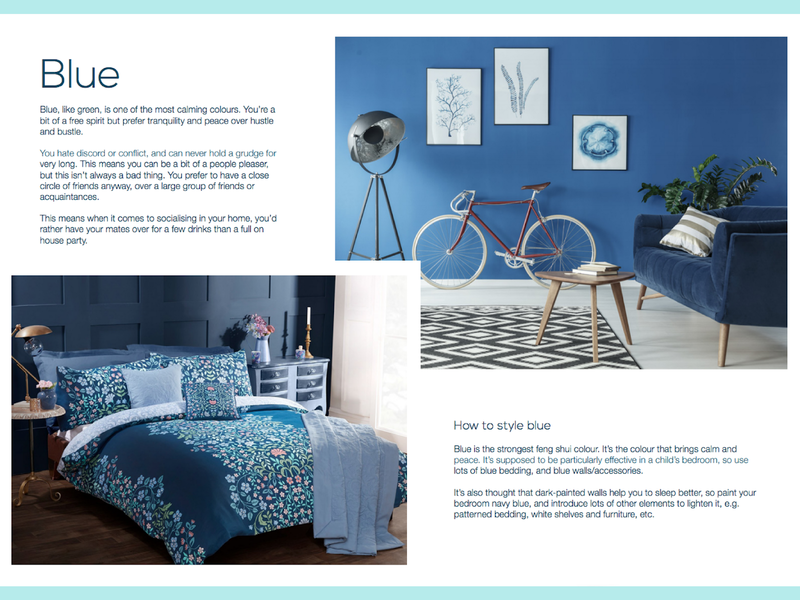 It was interesting to read that blue is actually the strongest feng shui colour and is recommended for use in bedrooms (particularly children's) as it can encourage a better night's sleep. Another colour I've always liked is green and it's actually my mum's favourite colour too. I think sage green is lovely and very on-trend and I also love leafy green shades too. 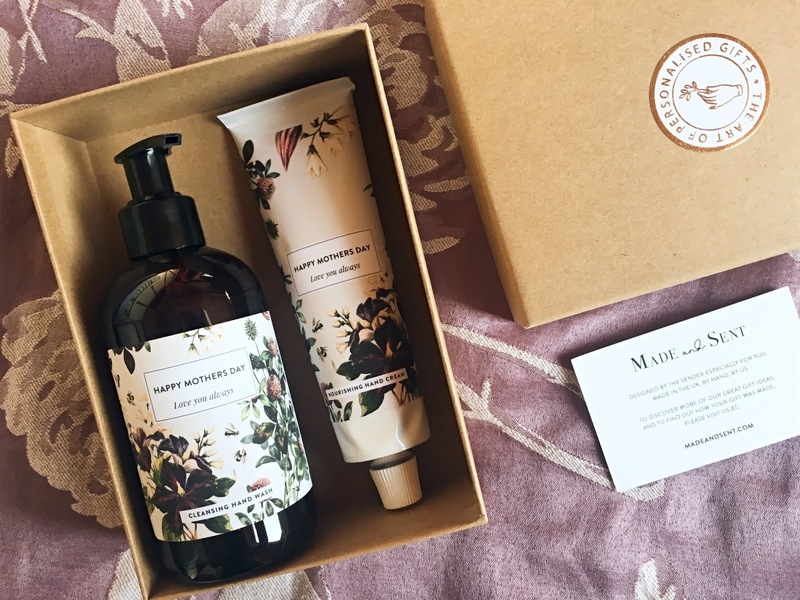 I imagine injecting green tones into my home with plenty of house plants dotted about. I think green is good for the soul - there's something just so refreshing about it! 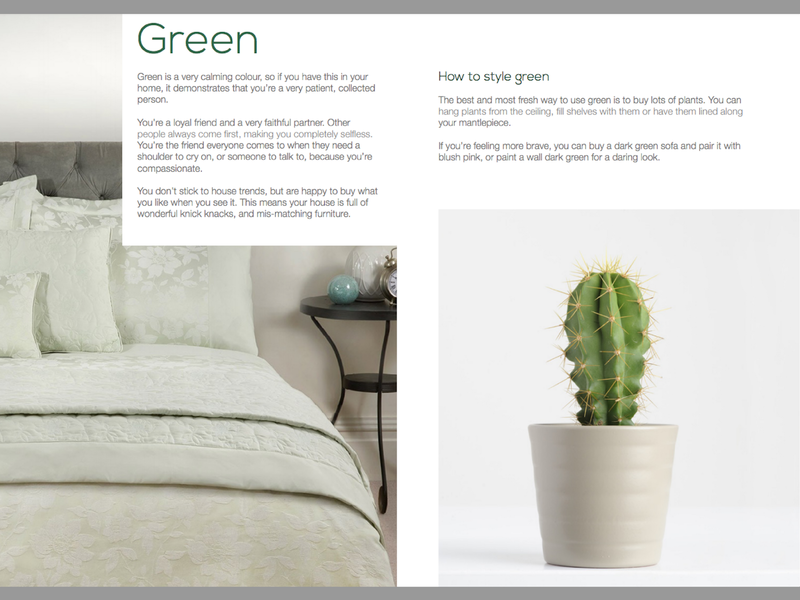 Julian Charles describes green as a 'calming colour' that demonstrates patience and loyalty. People who love green don't tend to stick to house trends and are confident in buying what they like. I had to giggle at 'your house is full of wonderful knick knacks' as this isn't really me (I'm slightly more minimalist) but it's my mum down to a T.
I think the #ColourYourPersonality campaign is a really interesting one and it's got me thinking in more depth about the colour palettes we'll be choosing for our future family home. I'd love to hear about your favourite colour. Is it the one you use most in your home? And do you think it reflects your personality?